Adaptive Insights 2019.1 Early Adopter Release is now live! As an Early Adopter participant, you will receive the latest enhancements to Dashboards and Analytics, Modeling, Consolidation, Integration, and OfficeConnect ahead of general availability. Begin using all the new features several weeks before the official release. You will be given early access to the new release. Existing Early Adopter participants can log in with their existing credentials. Early Adopter participants who requested a demo or sandbox instance, please follow the login instructions provided in your email. Best Practice: To share OfficeConnect files, make sure your whole team uses the Early Adopter versions. OfficeConnect files saved from Early Adopter versions cannot be opened in older versions of the product. Use the link here to download and install the Early Adopter version of OfficeConnect. Once installed, you will see a new option in your “Adaptive Insights” folder with Early Adopter versions of all three products. Click on this link to launch the Early Adopter version. Best Practice: To share Excel Interface for Planning files, make sure your whole team uses the Early Adopter versions. Excel Interface for Planning files saved from Early Adopter versions cannot be opened in older versions of the product. Use the lin​​​​​​​k here to download and install the Early Adopter version of the Excel Interface for Planning. Once installed, you will see a new tab in the ribbon in Excel called “PLANNING.” Click on this tab in the ribbon to log in. Working in Your Model Please perform your routine activities and tasks and report any feedback using the submission forms below. We’re happy to announce the Adaptive Insights 2019.1 is now live. The new release includes enhancements to integration and security. It also includes enhancements to Adaptive Insights for Sales. It just got easier to keep your planning accounts and attributes in sync with changes in your ERP and other source systems. You can load accounts and attributes in bulk and update their properties at the same time. With the new Workday adapter, you can import data from Workday Financials and HCM into Adaptive Insights and also drill back into Workday to view the underlying transaction details. It just got easier to keep your planning accounts and attributes in sync with changes in your ERP and other source systems. You can load accounts and attributes in bulk and update their properties at the same time. Adaptive Insights now supports NetSuite 2018.1 endpoint and the ability to integrate with NetSuite through token-based authentication, which is necessary for supporting NetSuite’s two-factor authentication. As an Early Adopter program participant, you have a variety of ways to provide feedback. Email: Leverage the form to the right. Live Feedback Sessions: Attend any of our feedback sessions throughout Early Adopter process. Chat on Adaptive Torchbearers: Engage in the conversation and share your insights on this release on our Torchbearers site. Adaptive Torchbearers is our VIP customer program to recognize and reward customers for helping us build better products and grow. Torchbearers provides an easy way to connect with Adaptive on a range of activities: sharing feedback, learning through webinars, participating in the Early Adopter software release programs, and more. Should you need assistance at any time, Adaptive Support is here to advise you. For product use and functionality questions, please use the 'Report A Bug or Technical Issue' form on the right OR contact the Adaptive Insights support team: support@adaptiveinsights.com. For reporting a bug, please check the requirements in the section on the right. 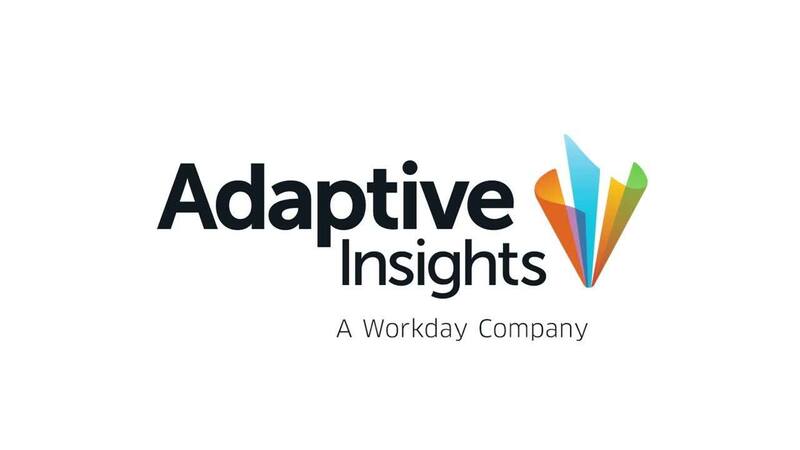 For general questions please use the Usability Feedback & General Suggestions form on the right OR contact: EarlyAdopterFeedback@adaptiveinsights.com. For training questions, please contact Training@adaptiveinsights.com Report a Bug or Technical Issue Contact Support: If a feature doesn't work the way you expect or you're experiencing technical issues, submit the form below to contact our Support Team directly. Please provide as much information as you can. After you submit the form, you will receive an automated confirmation email with a ticket number. Our expert Support Team will respond as quickly as they are able. To report a bug or technical issue please submit a bug report here. Please include that you are an EA customer. Join our customer VIP community and you’ll get privileged access to best practice resources, exclusive educational content, peer networking and more! You’ll earn points for your participation which can be redeemed for rewards like gift cards, training and user conference passes, and unique customer experiences.